Author, journalist and blogger Alexandra Campbell has reviewed Secret Gardens of East Anglia on her blog and included it in her video round-up. As an “Essex girl” I didn’t have to be convinced of the beauties of those “terribly flat” counties of East Anglia. They may suffer from cold, drying winds from Siberia but these are more than compensated for by magical light and serene countryside. 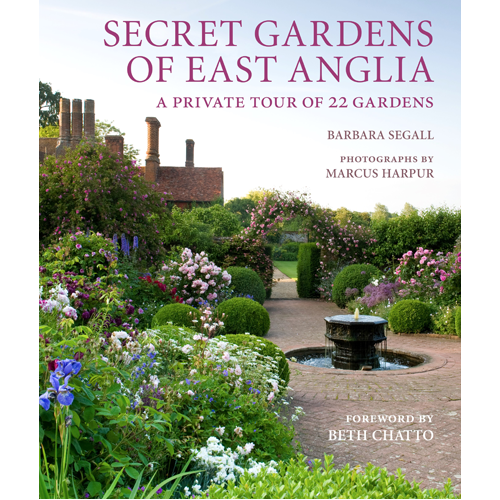 Barbara Segall, who lives in Suffolk, knows the area well and has chosen 22 of its gardens to explore in detail. Many of them were created in recent decades – Pensthorpe, for instance, planted by Piet Oudolf to celebrate the Millennium – and I’m not sure how “secret” they are, considering most are made on the grand scale, involving serious money and lots of earth moving and personnel. Opening to visitors or hosting weddings and other events helps to offset the resulting massive maintenance costs, though an interesting thread running through the book is how today’s standards of upkeep are rather more relaxed than in the past and have led to a welcome increase in wildlife. Segall’s interviews with the owners, many of whom were involved themselves in the design of their gardens, allow us to appreciate the books and people who inspired them, while Marcus Harpur’s muted photographs show both plant details and sweeping vistas. Barbara Segall’s booksigning and talk was featured by the Saffron Waldon Reporter. 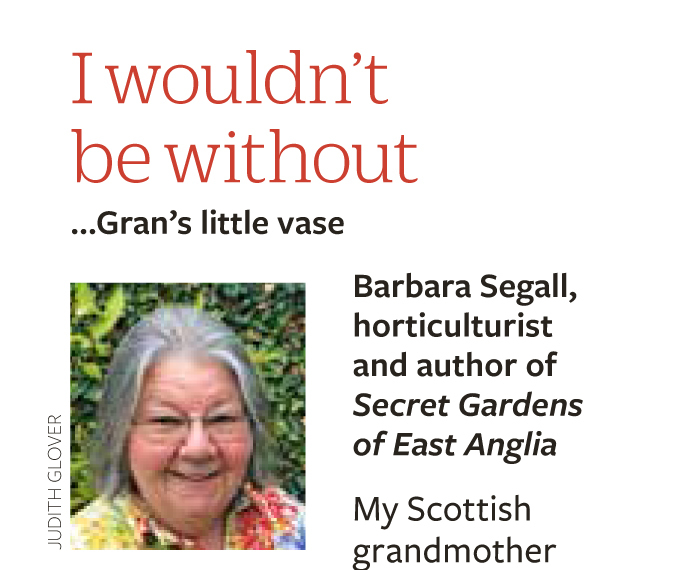 Secret Gardens of East Anglia was featured in the Regional Reads section of Village People magazine. 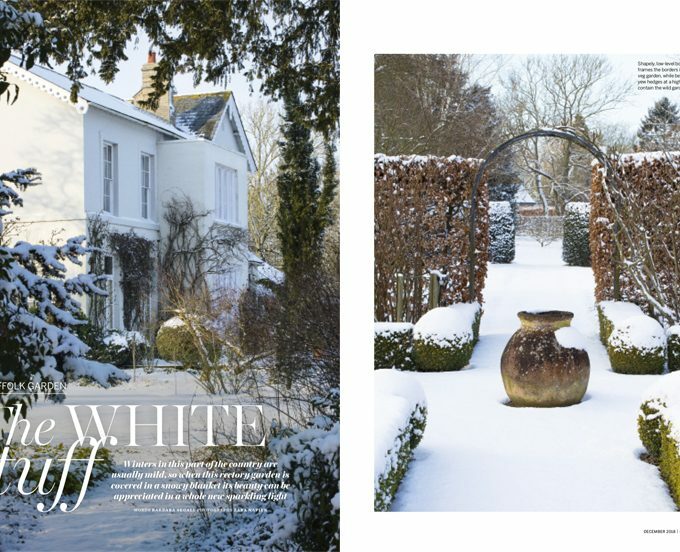 Clare Foster reviewed Secret Gardens of East Anglia in the January 2018 edition of House & Garden. Clive Lloyd reviewed Secret Gardens of East Anglia in Norfolk Gardens Trust newsletter (No. 24, Autumn 2017). Secret Gardens of East Anglia was featured in The Times‘s Gardening Books of the Year on 25 November 2017. 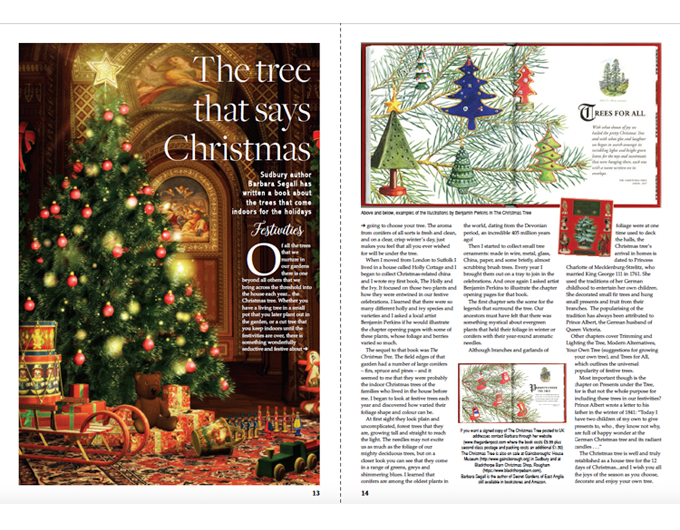 Secret Gardens of East Anglia was featured on the Gifts for Gardeners page in the December 2017 edition of Cotswold Life. The Daily Mail featured Secret Gardens of East Anglia in its 4 November 2017 edition (magazine): A ‘delightful new book’. Suffolk Gardens Trust reviewed The Secret Gardens of East Anglia in their Autumn 2017 newsletter. Sue Burton reviewed Secret Gardens of East Anglia in the Autumn 2017 newsletter of the Suffolk Group of the National Council for the Conservation of Plants & Gardens. Bury & West Suffolk magazine featured Secret Gardens of East Anglia in their September 2017 edition. East Anglian Daily Times featured Secret Gardens of East Anglia in their 9 September edition. Country Living reviewed Secret Gardens of East Anglia in their October 2017 edition. Barbara Segall was featured in The Lady in their 29 September 2017 edition.